Rapper, actor Benjamin Flores Jr. better known as Lil P-Nut, who over the weekend performed live at the Southern Entertainment Awards 2012 Ceremony, is preparing to release a new hip hop mixtape after, at only 9 years old, recently receiving the Key to the City of Memphis, TN from Mayor A C Wharton, Jr.
Memphis Mayor A C Wharton, Jr. says Lil P-Nut receiving the key to the city was due to his remarkable feats at such a young age. Lil P-Nut joins a host of talented others in Memphis hip hop to receive the Key to the City such as Academy Award winning producers and rappers Paul “DJ Paul” Beauregard and Jordan “Juicy J” Houston of Three 6 Mafia and Christopher “Drumma Boy” Gholson, along with Mickey “Memphitz” Wright. Meanwhile, Lil P-Nut’s new hip hop mixtape will be dropping soon. Lil P-Nut’s new mixtape will be entitled “From A Kidz Point of View” and will contain Lil P-Nut’s newest hip hop song Choosin, which was last released in a music video. Really? 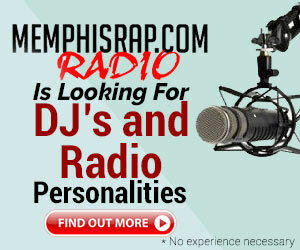 A key to the city of Memphis for rappin? Again? There are so many people living there in Memphis who are not rappers or entertainers and they are not 9 years old. These folks actually make real contributions and contribute real change to the city everyday without any fanfare. A few organizations and names come to mind when I think about two local people who really deserve a key to city for outstanding contributions being made to the city. People like a Mrs. Melvena C. Leake, a retired MCS school teacher who used a big part of own retirement money well over 10 ago to create the much needed non-profit organization, call Karat Place, Inc. She created a home for women who upon release from prison can come and start their lives completely over with the various programs she has going. Next, you have Ernest Donelson II, who is affiliated with Black AIDS Memphis and long time foot soldier in the fight and prevention of the spread of AIDS/HIV not only in the African American community in Memphis, but all of Shelby county. So, why are people like these constantly ignored for rappers and entertainers all of the sake of trying to gain brownie points from therap community? Oh and before any geniuses get on here and yell some stupid shyt like, “Why dude hatin on a 9 year old?” I am not hatin on child. I am concerned aboutthe real priorities of the so-called leadership of the city of Memphis. I completely agree. This ceremony shows where the proiorities truly are. A RAPPING kid… Really? What about the young scholar who excells academically? Who would you rather see given such a high honor? Seemingly, not someone who makes a REAL contribution? Ghanks Rico for your comment. You get it!!! Come on people…!!! This further perpetuates the stereo type… Can someone put the south on the map for something other than ambitious rappers.